That concludes the coverage for the last Super High Roller but there is still plenty of action taking place over the next couple of days. The $5,300 Main Event is entering its final stages and the $10,000 High Roller also kicked off today and will be running over the next couple of days. 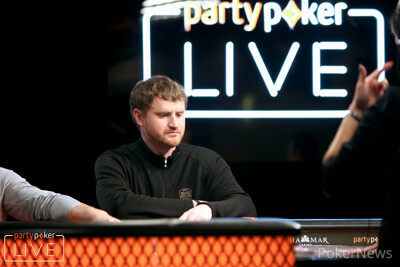 Be sure to stay with PokerNews as we continue to bring you coverage from here in the Bahamas. 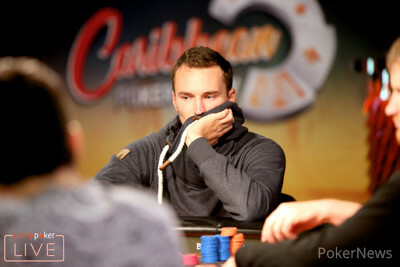 Steffen Sontheimer and Sean Winter entered heads-up play with extremely deep stacks and most people were just starting to settle into what could be a long battle. However, two premium hands and it becomes quite easy to get all of the chips in the middle. That is exactly what happened when Winter limped the button with . Sontheimer looked down at in the big blind and raised it up to 700,000. Winter three-bet to 2,000,000 and Sontheimer moved all in. Winter quickly called off his stack of 10,295,000 but was disappointed when the cards were tabled. Sontheimer held a dominating lead and the flop of changed nothing. The on the turn provided some chop outs but the on the river locked things up. Winter was forced to settle for second place but will still take home $2,430,000 for his efforts. 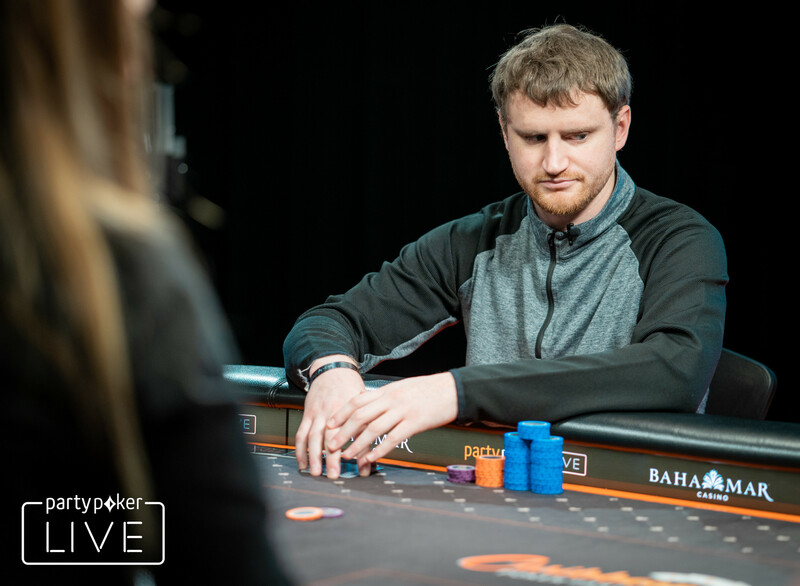 Sean Winter shipped all in from the small blind with and Mikita Badziakouski called off his stack of 1,650,000 with in the big blind. The flop came to give Winter full control with a pair of aces. 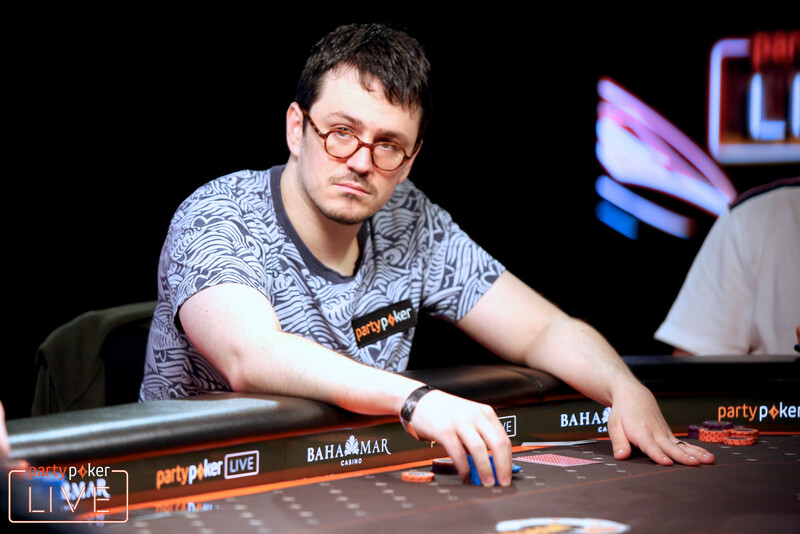 The turn was the to give Badziakouski some outs but the on the river bricked off as Badziakouski was eliminated in fourth place. Just a few hands later, Steffen Sontheimer raised to 400,000 on the button with and David Peters moved all in for 1,995,000 with in the small blind. Winter folded his big blind and Sontheimer quickly called with a dominating hand. The flop came as Sontheimer stayed in the lead with his ace-high. The on the turn provided some chop outs but the on the river sent Peters to the payout desk in third place. The final two players are taking a short break to prepare for heads-up play where the blinds will be reduced to 30 minutes. There are two stacks on the table at around 20 big blinds but it was the two big stacks that got involved in a pot that could've been detrimental. Steffen Sontheimer raised it up to 300,000 with and Sean Winter just called in the small blind with . The flop came and Winter checked to Sontheimer who bet 300,000 after making two pair. Winter called and the landed on the turn. Winter checked again and Sontheimer stuck in a large bet of 2,000,000. Winter called again and the paired the board on the river. Winter checked one more time and Sontheimer quickly checked back after being counterfeit. Winter was awarded the pot with the better two pair to cut into Sontheimer's lead. 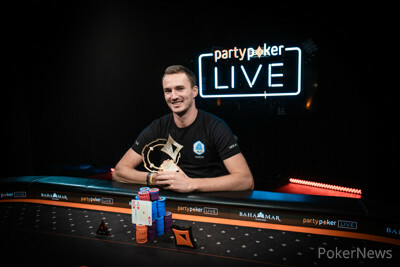 David Peters raised it up to 240,000 in the cutoff with and was called by Sean Winter on the button with and Steffen Sontheimer in the big blind with . The flop of favored Sontheimer in the big blind and the action checked to Winter who bet 550,000. Sontheimer called and Peters quickly mucked his cards. The turn brought the to give both players a draw to a better hand. The action went check-check and the completed the board. Two more checks and Sontheimer pulled in yet another pot to increase his lead. The players are about to head on another 15-minute break and Peters will return on the short stack with just under 18 big blinds. Steffen Sontheimer has been the most active of the four remaining players as he should be with a healthy chip lead. 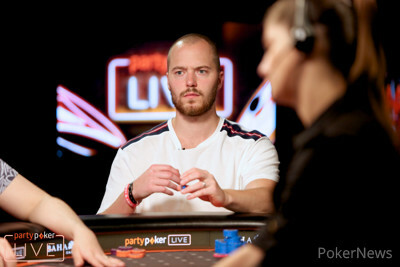 However, he opened to 250,000 with and Sean Winter three-bet to 950,000 in the small blind with . Sontheimer called and the flop came . Winter led out for 1,400,000 and Sontheimer chose to peel one off to see the on the turn. Winter shipped all in for around 3,300,000 and Sontheimer laid his hand down. Just a couple of hands later, Sontheimer made it 400,000 in the small blind with . David Peters defended in the big blind with and the flop came . Sontheimer flopped trips and led out for 225,000 which Peters called. The turn was the and Sontheimer fired another bet of 1,000,000. Peters still called and the completed the board. Sontheimer stuck in a bet of 1,850,000 and Peters finally let his hand go. Sontheimer and Winter have started to pull away from the other two players, looking to make this a two-horse race.